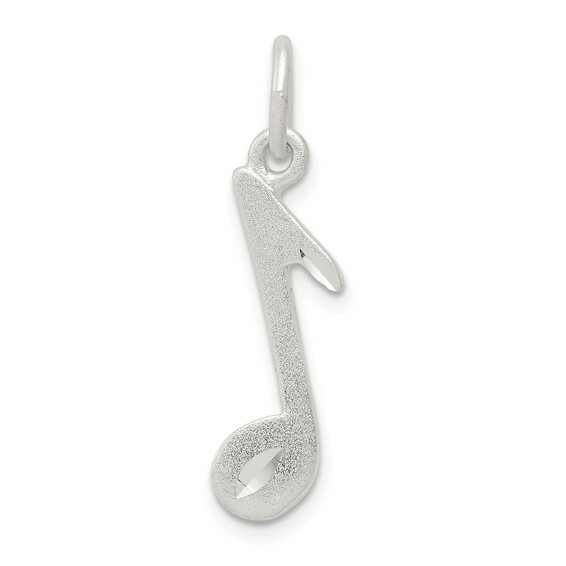 Sterling Silver Music Note Charm. Weight:0.85 grams. Measures 3/4 inch tall by 3/8 inch wide without bail. This item is the size of a penny. Chain not included. The jump ring is 3.7mm; we recommend a chain no thicker than 3mm.